Media / News When professors weigh in . . .
Lucid minds need not participate. Journalists hear frequently from colleges and universities touting the resident experts in their stables. They know that reporters like to punch up stories with the tony pronouncements of a genuine scholar. What the hell! muse the marketing whizzes at these ivy-covered degree mills. He might as well be one of ours. I came across an excellent example in the Friday Tribune. 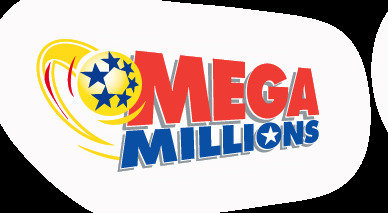 It seems the Mega Millions lottery jackpot has climbed past $400 million. An elderly Markham woman who bought two tickets instead of the usual one was quoted: "Somebody's got to win it," she told the Tribune. "It might as well be me. If I don't play, I can't win." The odds of winning were given at one in 259 million. Cue the scholars. Said a professor of psychology in Texas: "They're drawn to the fact that there is a chance that they'll win, and they're not thinking about the numbers. Our decisions don't always fall into a rational model." And a professor in Ontario observed that, in the words of the Tribune, "lottery players often are attracted to the huge jackpots, despite the minuscule odds." I can't quarrel with this use of experts. College professors make less money than they deserve and tenure isn't what it used to be, so it's great if every now and then they can get their names in the papers. In fact, I'd use more. Surely a professor could have been found who'd be willing to point out that the minuscule odds are the reason for the huge jackpots, and that plenty of lottery players without advanced degrees grasp this principle. That same professor might go on to argue that there's nothing irrational about spending a buck on a huge pot. It's cheap, it's fun, and who the hell knows . . .
A canny marketer assigned to tout his school's tweedy sages should seize the opportunity. "Call your usual experts," he would inform the reporters of America, "and let them do their usual bloviating. Then call ours, and whatever they said we'll explain why it's ridiculous. Our sneers will do wonders for your stories." Journalism would expand in scope from the perfunctory academic to the perfunctory academic catfight. It would be a healthy development.